With Cooper Tires Winterfest in the rearview mirror and the start of the Mazda Road To Indy regular season only a week away, it is time to get caught up with some recent driver signings. Expect some more announcements in the next week, as teams get their 2015 driver line-ups buttoned down before the Firestone Grand Prix of St. Petersburg. There is also one significant Indy Lights presented by Cooper Tire signing that is not included below. 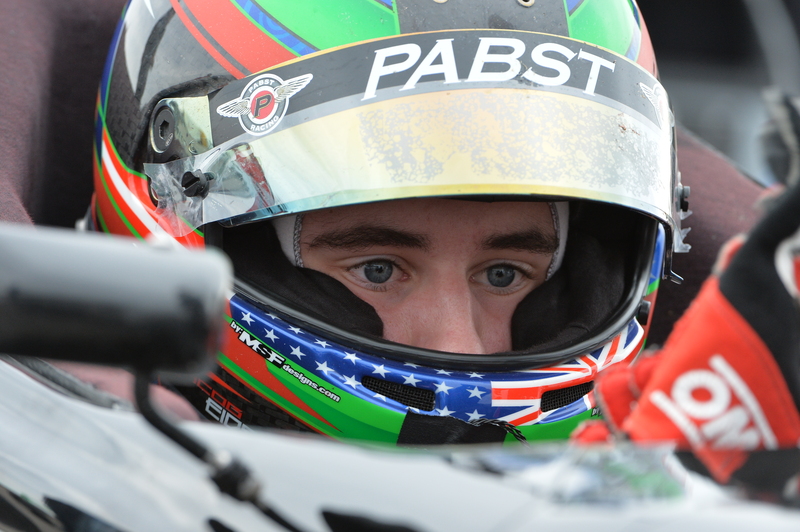 Matthew Brabham will be rejoining Andretti Autosport for the first race at St. Pete. We will have an interview with him on the site this evening. Signing with Pabst Racing, Cooper Tires USF2000 powered by Mazda sophomore driver, Jacob Eidson, immediately becomes one of the favorites in to take home the championship. The 19 year-old spent the 2014 USF2000 season fighting with Florian Latorre and RC Enerson for top spot and $200,000 Mazda Motorsports scholarship, but fell just short, using two victories and nine podiums to finish third, only 19 points behind eventual champion Latorre. Hailing form Littleton, Colorado, Eidson was leading the recently contested Cooper Tires Winterfest until a broken fuel pump ended his championship hopes on the first lap of the final race at Barber Motorsports Park. During the five race winter series he scored: two wins, four podiums, one pole and three quickest laps. Eidson joins Yufeng Luo at Pabst Racing, an Oconomowoc, Wisconsin based team that was founded by in 1983 by Augie Pabst, Jr., a sports car legend. The team has decades of experience preparing Van Diemen F2000 cars and is currently helmed by Augie Pabst III. JDC Motorsports recently announced that Parker Nicklin would join the team for a full season assault on the Pro Mazda presented by Cooper Tire campaign. He becomes the fourth Pro Mazda driver for the Savage, Minnestoa based squad, joining already announced drivers: Michael Johnson, Kyle Connery and Raoul Owens. The 18 year-old, who is a Schmidt Peterson Motorsports development driver, contested two Pro Mazda Races in 2014, gaining a total of ten spots in the twin contests at Sonoma Raceway. The Henderson, NV native also spent 2014 competing in the Pro Formula Mazda category of the west coast based Formula Car Challenge, taking home one victory, and 11 podiums on the way to a second place championship finish. Nicklin also has experience competing in Skip Barber seasonal series. On March 14th Santiago Urrutia tweeted that he would be joining Team Pelfrey for the 2015 Pro Mazda presented by Cooper Tire campaign. He is the first Pro Mazda driver signed to the teams Pro Mazda stable. The Miguelete, Uruguay native has spent the past four seasons honing his craft in Europe. The 18 year-old spent two years in Formula Abarth, one season in Euro F3 Open and 2014 racing in GP3. His record includes eight wins and 28 podiums. Team Pelfrey are expected to field a two car Pro Mazda presented by Cooper Tire team in addition to a four car Cooper Tires USF2000 powered by Mazda effort. The Palmetto, Florida based team recently took home the top spot in Cooper Tires Winterfest with driver Jack Aitken, and also scored the 2011 and 2012 Pro Mazda team championships. Stand-out karter Nicolas Dapero will be joining Juncos Racing as a development driver where he embark on an extensive program that will include simulator work, extensive testing and also working with team engineers, driver coaches and mechanics to help prepare him on and off track for the Mazda Road To Indy. The Buenos Aires, Argentina native took part in the Fórmula Metropolitana Argentina championship last year and will compete in the Formula Renault 2.0 series in 2015.